Our blood gel is deep red, glycerin-based so that it never dries and looks like it’s oozing, wet and thick. 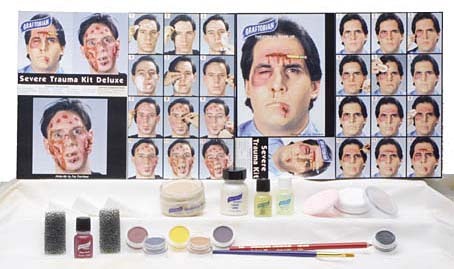 It is a 1 oz blood gel that comes with a brush cap which makes it easy to apply. Soap and water wash it off easily. 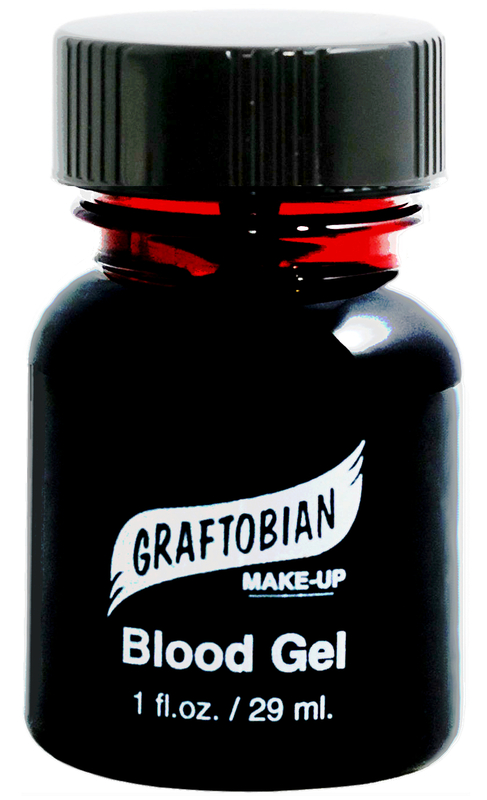 You’ll find this blood perfect for a vampire or when you want a deep red color on camera. Need Whipping or Slashing Effects? Check out Magic Blood Powder™. It’s invisible until activated by water. Watch a video to find out more about the different types of blood we offer.